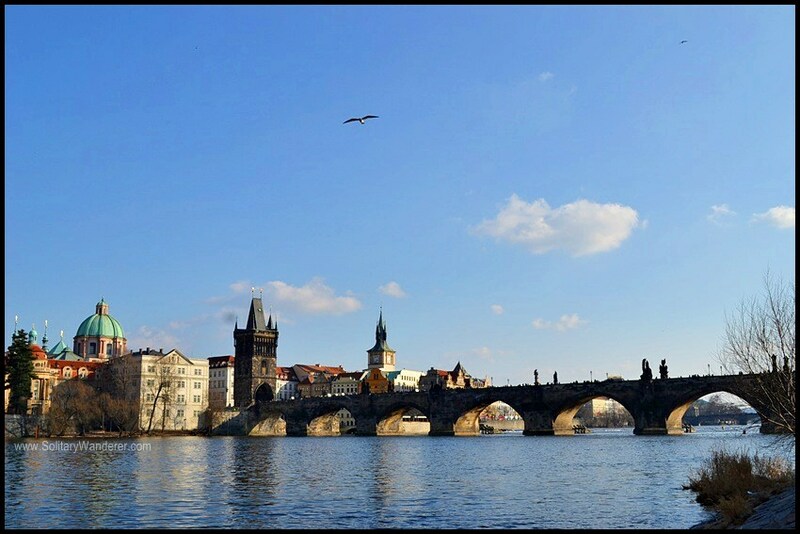 Prague, the capital and largest city of the Czech Republic, is known for a lot of things. There’s the iconic, 14th-century Charles Bridge, the beautiful Astronomical Clock, the Prague Castle, and of course, the Old Town Square. Even if I didn’t do any research about the must-see places in Prague before I went there, I still got to see all of these, recommended partly by my Couchsurfing friends, or simply because I just followed where the people went. If you’re of a more literary mind, and interested in seeing something a bit different when you’re traveling to Europe’s top city destinations, consider taking a Kafka tour of Prague. 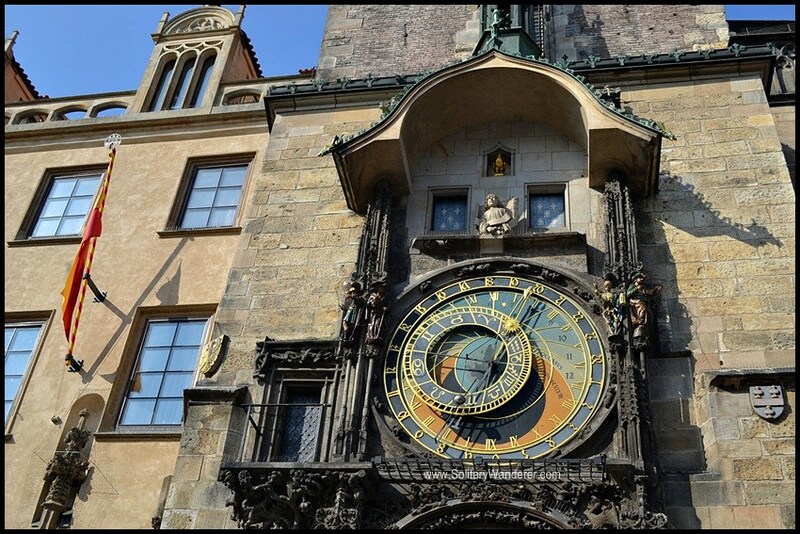 The Astronomical Clock in the Old Town Square. The origin of the term was Franz Kafka’s writings, which are often dark in nature and dealt mostly with isolation, alienation, and psychological brutality. Kafka’s most popular stories include The Metamorphosis and The Trial. Who can forget the story of Gregor who woke up as an insect, or of Josef who found himself arrested one day by two unidentified men from an unknown agency for an unspecified crime? Indeed, Kafkaesque situations often evoke feelings of senselessness and helplessness, with the people in it not having any idea what to do. Welcome to the Kafka Museum! The most obvious place to start your Kafka tour of Prague is the Kafka Museum. You can see their sign clearly from Charles Bridge, and you won’t get lost in going there as long as you follow the signs. There’s a lot of original photos and documents in the museum, but what’s very interesting is the art installation outside by David Černý. 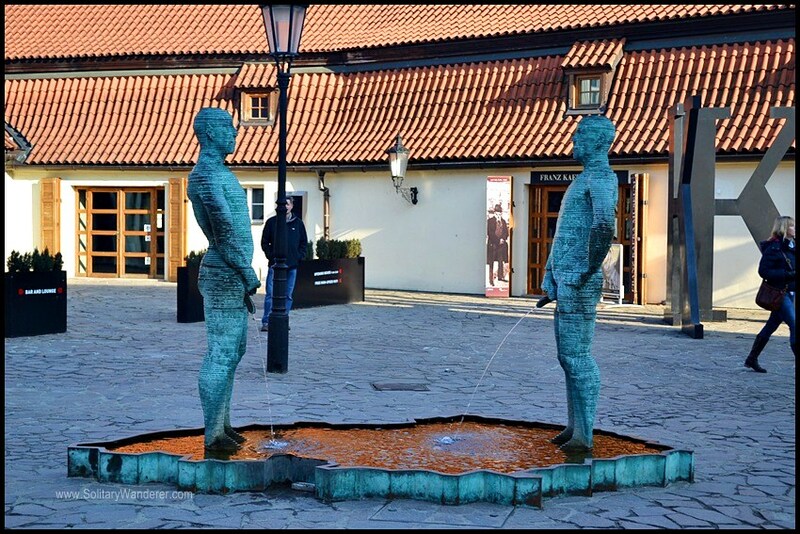 Called Proudy, it shows two men peeing on a map of Prague. A tip: send a text message to the number given beside the sculpture, and they would write your message with their “pee”! At the corner of Dušní and Vězeňská streets, between the Spanish Synagogue and Holy Spirit Church, stands the bronze sculpture of two men. The small man resembling Franz Kafka is on the shoulder of a large, headless man, seemingly an empty suit. 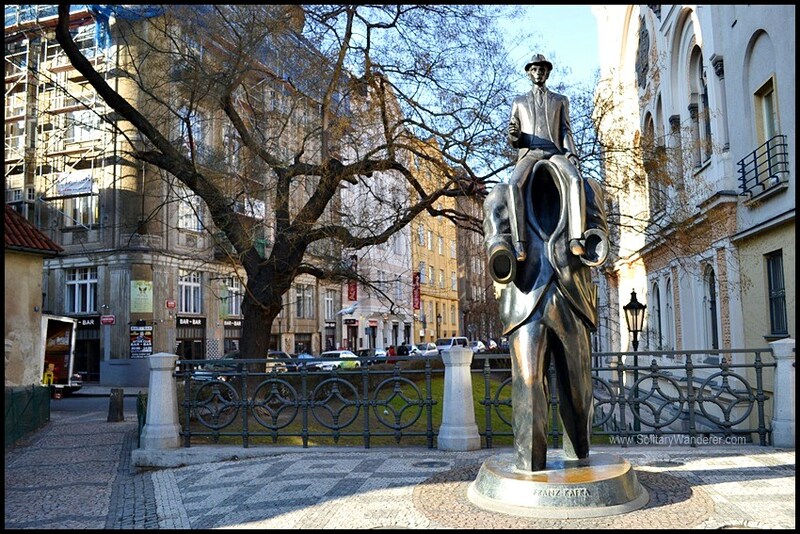 The placement of the sculpture is symbolic: (1) the Kafkas lived on Dušní Street, and (2) it is in the “spiritual zone” of three different religions, i.e., the Jewish synagogue, a Catholic church, and a Protestant church. Enjoy coffee and more at the Café Louvre. Not interested in sculptures? Head to the Café Louvre at Národní 22, a favorite meeting point of intellectuals in Kakfa’s time. Aside from Kafka and his friend Max Brod (who was himself a famous novelist, but best known as Kafka’s friend), Albert Einstein was a frequent customer, too, and the German Philosophical Circle made it their meeting place twice a month. Café Louvre was reportedly the biggest café in its time, boasting 800 rooms as well as several floors. 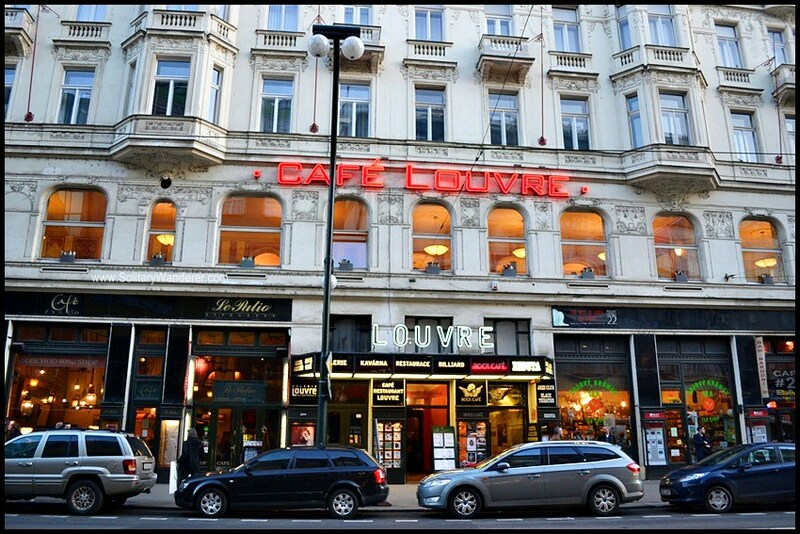 According to café manager Sylvio Spohr, it was the first café in the city lit not by candles but by electric bulbs. A Couchsurfing friend and I went there to have early dinner (hello, Jesse! Thanks again for the USB! ), and the place was packed. We had to wait for a while for a table to be free. We wanted quiche (like a pie, with cheese, meat, seafood, or vegetables) but they’d ran out. I ended up having soup and coffee, which wasn’t so bad given that it was early spring when I was there. 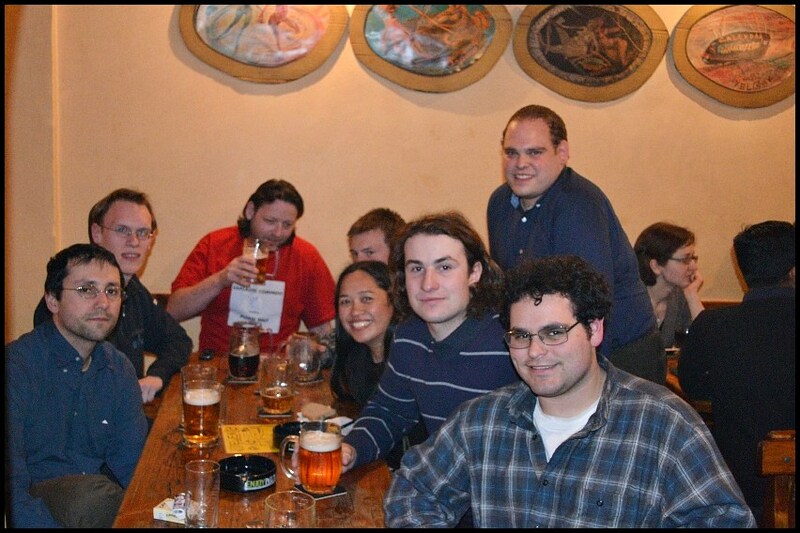 At the CS meet-up in a bar in Žižkov. There are other Kafka landmarks in Prague you can check out. His grave, for example, is in the New Jewish Cemetery in Žižkov. I never got to visit it, as I associated Žižkov only with having the most number of bars in Prague (thanks to my CS host Damien, in red shirt in the photo above). If you want to visit all the places lived and worked in by Franz Kafka, check out Kafka and Prague: A guide to the writer’s landmarks for a full list of places frequented by the writer. The iconic Charles Bridge in Prague. Prague is a beautiful, historic city that has something for everybody. I wouldn’t mind going back there again and again, not only for Kafka and the treasures of the Old Town Square, but also for its interesting sculptures and the beers of Žižkov. Have you been to Prague? 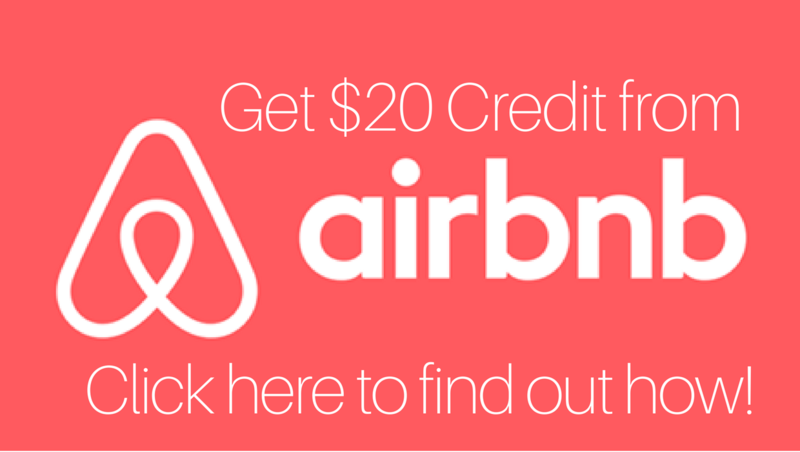 What do you like best about the city? Prague is my dream destination, I love this beautiful place, hope to visit this stunning city one day. We’ve been to Prague. Where we were most taken by the food and drink. Ah, burčák, knedlík, and smažený sýr. I agree. 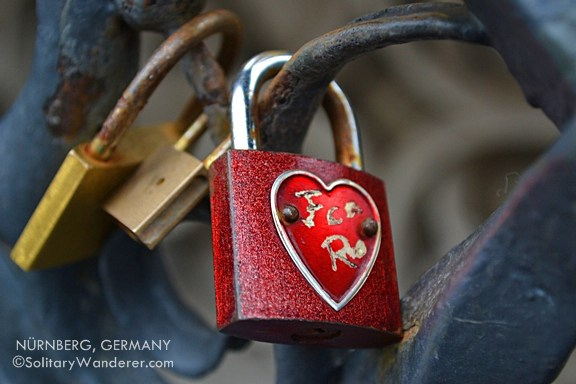 Dreamy is exact;y the word I would use for Prague! This tour looks great! A few people have mentioned Kafka to me recently and now I can’t stop seeing his name everywhere 🙂 I love Prague and I’m hoping to go back there next year, so I’ll definitely be exploring some of these landmarks as a literature lover! And seriously… those statues pee out your text message?! I can’t work out if that’s weird or cool! Did you do it? Hi Lizzie! I didn’t have a smartphone then so no. Too bad I would have loved to try it out! I have only been to Prague ones and I absolutely loved it, it is such a great city. Regarding Kafka, I had to read The Metamorphosis in school in … German for my German exam. My German wasn’t (and still isn’t) very good, so when I had to explain the story during my exam quite a strange story came out … knowing the way Kafka writes, I thought it was quite an achievement to come up with something even stranger 😉 Anyhow the Kafta tour sounds really interesting and would definitely visit the museum when back In Prague. weeks in Europe, we vowed to shy away from the continent, until the dollar gains on the euro. It was expensive and we felt the pinch this time around. I guess it’s more expensive when you’re traveling as a couple. I found my backpacking trip there very cheap, as I used Couchsurfing mostly, or stayed in 15-eu hostels. I wish I had read this when I was in Prague this September! I tried to get in the spirit of things by reading “The Castle,” but never made it to any Kafka-related sites except his apartment at The Castle. 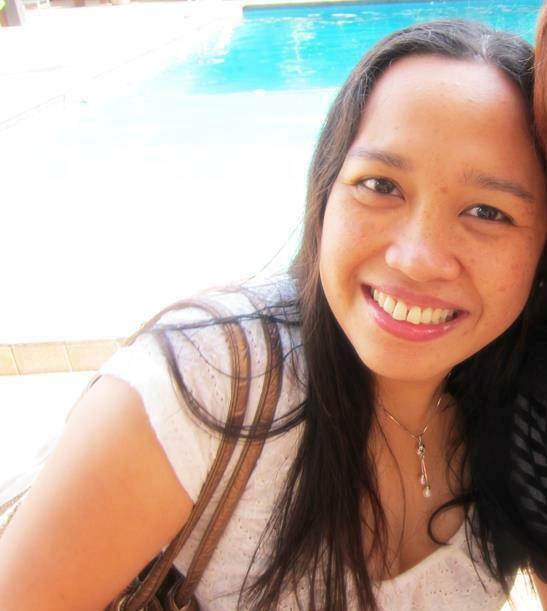 (Which was my favorite site in Prague:)) However, now I have a bunch of things to do if I go back! Hi Emiko! I also didn’t intend to set out on a Kafka tour, more’s the pity! I only realized it afterwards. If I had done my research beforehand, I would have visited his grave, too. Awww, you should go visit, Leigh. Super lovely city. Nice sharing. Never been there, but really looking for the opportunity to explore Prague one day. It’s a very lovely city. I would love to visit it again and again.